As motorcycles and mopeds make up around 20 percent of all road traffic accidents, you can't afford to not take on all the precautions you need when travelling. 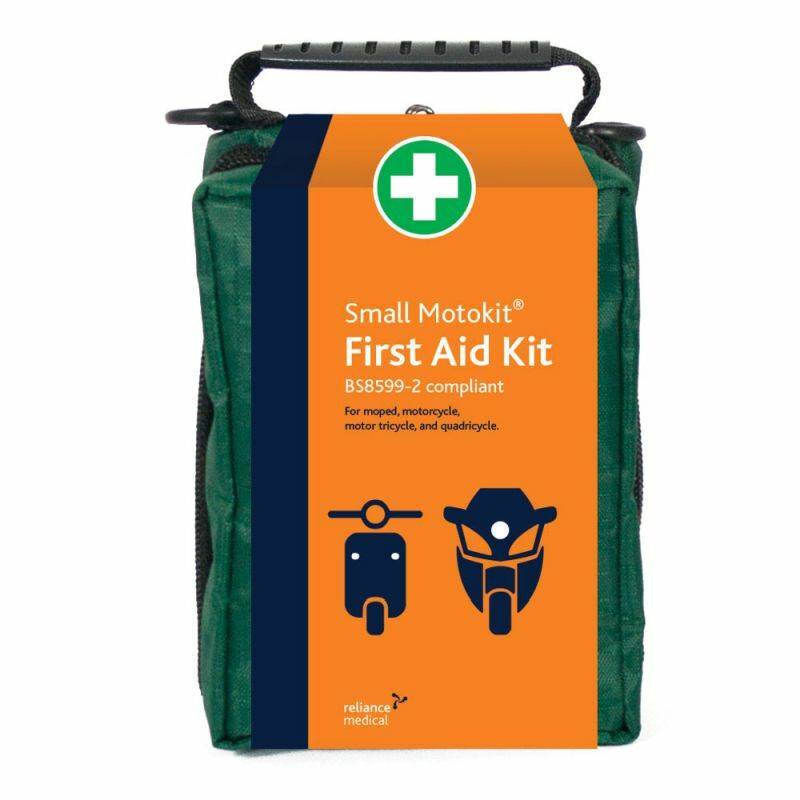 The Motokit Small Vehicle First Aid Kit in Helsinki Zip Bag ensures the safety of you and your passengers in case of an emergency. Though motorbikes only make up one percent of road traffic, they are often the most vulnerable when involved in road accidents. 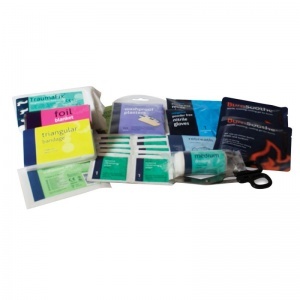 This Small Motokit is designed to provide you with all of the first aid provisions you need, regardless of your medical training, in the crucial period before the arrival of the emergency services. What Materials are Included in the Small Motokit? The kit comes in a soft Helsinki bag, with lots features such as netting compartments, soft grip handles, zipper pulls, elastic loops and more. It has been created with the limited storage on motorbikes in mind, so is perfect to stow away in small spaces. 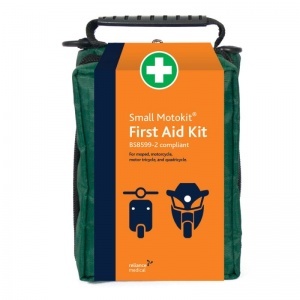 The Motokit Small Vehicle First Aid Kit in Helsinki Zip Bag is usually dispatched via First Class Royal Mail and delivery should be within 1 to 3 working days.